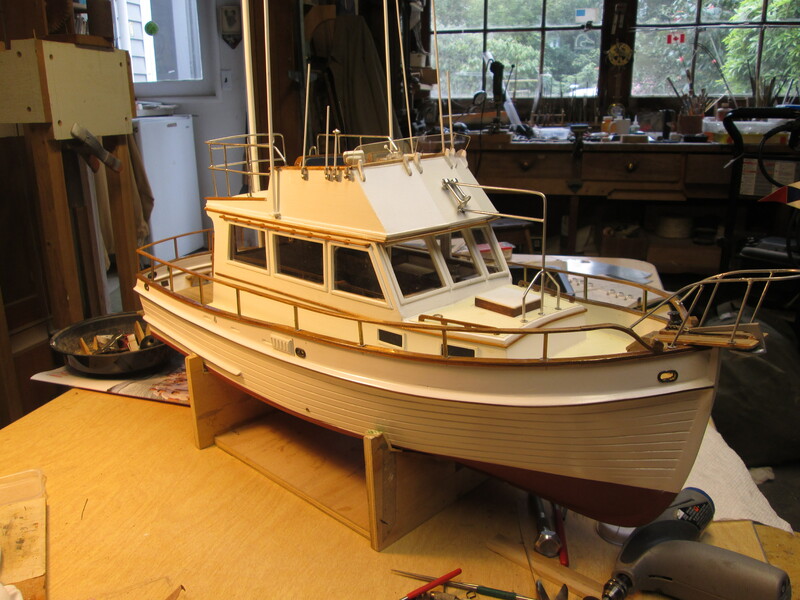 Ship modeler and lead volunteer Paul Reck reported today that the model of the Corinthian Yacht Club’s committee boat is nearly complete and sent along a couple photos. The boat is a Grand Banks 32 that he scratch-built with the assistance Tom Shea. The 1/16-scale model has appeared at various stages of construction over the past several Hyde Street Pier ship model meetings. 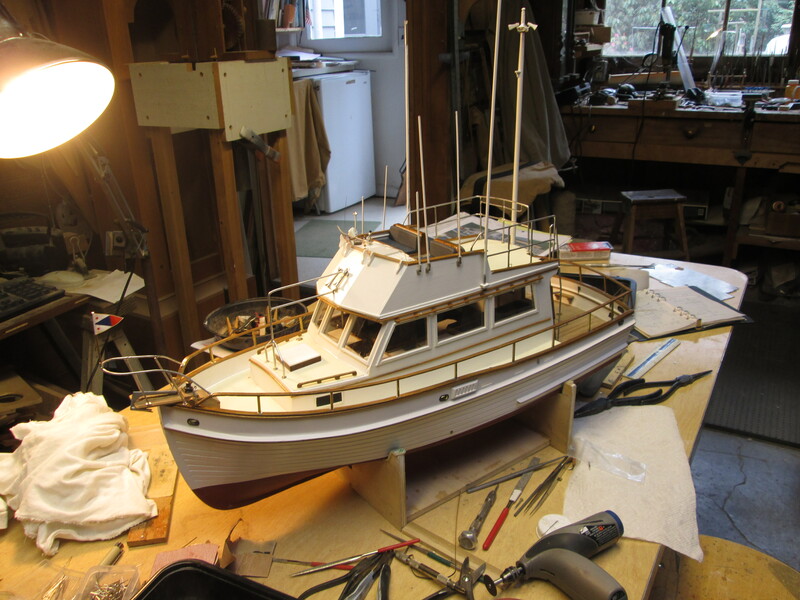 This entry was posted in Club Members, Paul Reck, Ship Modeling, Tom Shea and tagged Corinthian Yacht Club, Grand Banks 32, Paul Reck, Tom Shea by catopower. Bookmark the permalink.